Waterford Energy Services Inc. (WESI) is a company that provides oil and gas personnel who are experts in their field. With offices in Halifax NS and St. John's NL and working all over the globe. 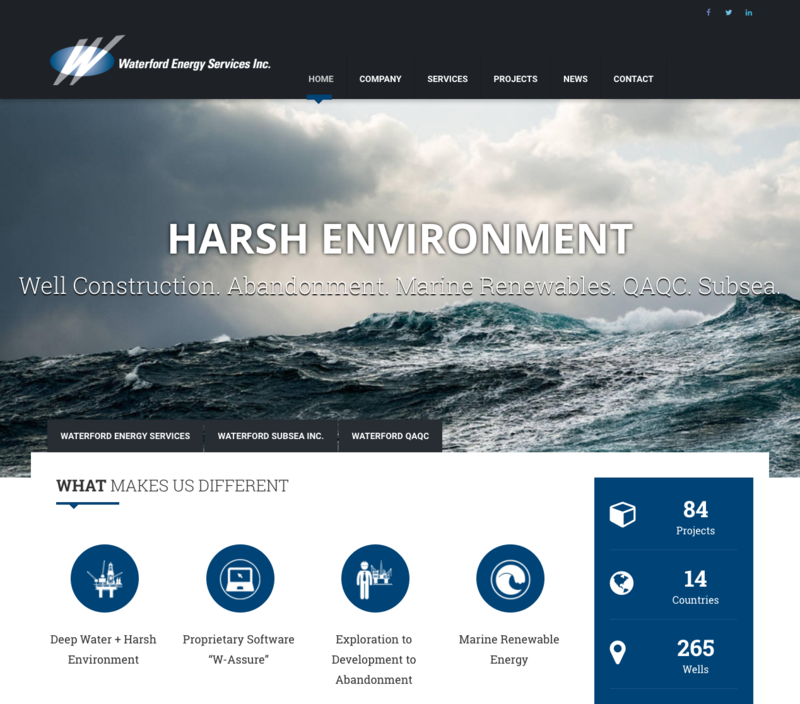 WESI needed a new site that was modern and responsive to showcase their many projects and services. We have had the pleasure working with WESI on a variey of web projects as well as offereing design and printing services.